Want more recent examples? How about an FBI shooting the wife and one of the kids of Randy Weaver through their heads when they had him besieged in his house? How about the ATF managing to get everyone in the Branch Davidian compound in Waco killed by engaging in a frontal attack on them instead of picking up David Koresh quietly and efficiently during one of his frequent trips into town, as local law enforcement strenuously advised them to do? 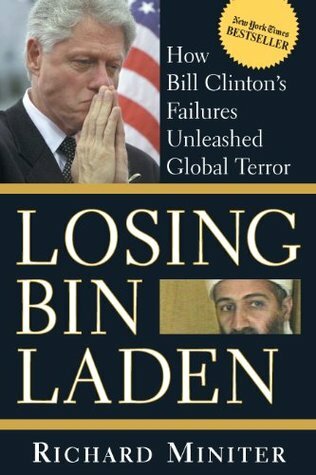 How about the Sept 11 attacks being entirely preventable if the FBI and CIA had been allowed to communicate with each other and share resources on terrorist issues if a panel of bureaucrats in the Clinton admin hadn't gotten together and passed a host of idiotic regulations that prevented them from concentrating their efforts together? Recent enough a series of law enforcement and intelligence disasters courtesy of the US government to satisfy you? We're not playing with the same deck of cards if you genuinely believe that the US government is more efficient, responsible, ethical, or freer than the Canadian one is. The IRS in the US has their own SWAT teams, for fucks sake, that they use to kick in the doors on individuals and businesses that run afoul of the government on tax issues. Canada has absolutely nothing like that going on at all. Regardless, the sad fact is we have a little piece of the third world right here in Canada and no one seems in much of a hurry to do anything about it. Including most of those who run the bannock republics. They have no reason to stop. They're like petty rulers of tiny fiefdoms where for too many of the people, their quality of life (such as it is) depends entirely on their relationship with the Chief. They have no reason to stop. Too many people have too much profit from the current system. I agree that we have our own racial problems, but unlike the US, we've already had our own Truth & Reconciliation Committee on our key racial issue and a federal government (and several like-minded provincial governments) working to implement lots of the 90 or so changes it recommended to heal their collective wounds. All this reality though is insufficient ever stop some bored columnist at the Outrage Desk of Maclean's or the Star from writing a spiel at least once a year to remind us of how awful we are. Canada's racial biases and abuses of Human Rights has always been subtle and quietly intrusive. If you want a clear example, go and search for a list of Canadian black mayors. Good luck finding such a list. That in itself, is telling. Meanwhile, I can quickly find a list of American black mayors, some from cities with a very small % of black citizens. Others who are running major cities and advising the highest levels of government. Just saying "hey, we aren't like America" and basing it on media presentation of cop killings isn't enough. Considering the history of slavery in America, they have made a quantum leap in relations, while Canada is stuck in another century. You have to find Americans in places of authority, leadership: elected and earned. You have to find examples of those from the lower class overcoming their socio-economic disadvantages to not just survive, but succeed and contribute to the highest degree. They exist in minute quantities in Canada. That because blacks don't dominate the population of any Canadian cities the way the do in dozens of American cities. I'm not surprised in the slightest that you'll also be willing to completely ignore basic demographic reality in order to brew up another excuse to slag on this country some more. These are only of cities with more than 50,000 citizens, there are others with smaller populations. Again, it is an old list, we can assume the numbers hae improved even more in 2016. Notice the number of cities with less than 50% of the population identifying as being Black. You might also recall Dr. Carson running for nomination of the Republican party just this year, along with women and hispanics. Some recently from first generation immigrants who did menial work. Canada's candidates presenting quite a more narrow range. You can paint it anyway you'd like, I know from first hand experience and facts that America might have their problems, like any nation, but those who have the least in America have a far greater opportunity for upward mobility and to contribute in a more meaningful way. You are judged by your efforts and God given skills. Not by family history and nepotism. Weird...every professional seems to claim otherwise. That Canada has far more upward mobility than the US. But, I'm sure that you are far more informed than the persons tasked with actually studying the matter. And, yes, even the American professionals agree with the findings. Upward mobility in what sense? Guy goes from poorhouse to $30k a year and we celebrate? Or guy goes from poorhouse to multi-millionaire? America is a more forgiving nation. More loyal to their forefathers ambitious ideals. I responded to this thread because there is some validity in the context regarding Canada's race problems. I would love to see Canada improve, but there are far too many who would rather profit for themselves and their families rather than allow a fair opportunity for all. This is particularly true for those in positions of authority, we present a facade with little substance. I just wish the nuses on his ward would lock down their computers while checking on the other patients in the psych ward. This is where it started, treating Terrorism as a legal matter. What's more telling is the list of black people who have run for mayor. Which if I'm not mistake, is pretty much the same list. Can't win if you don''t run! Whereas, the list of women, minorities, Jewish and Muslim mayors is getting longer every year. The lies that statistics are used to tell . . .